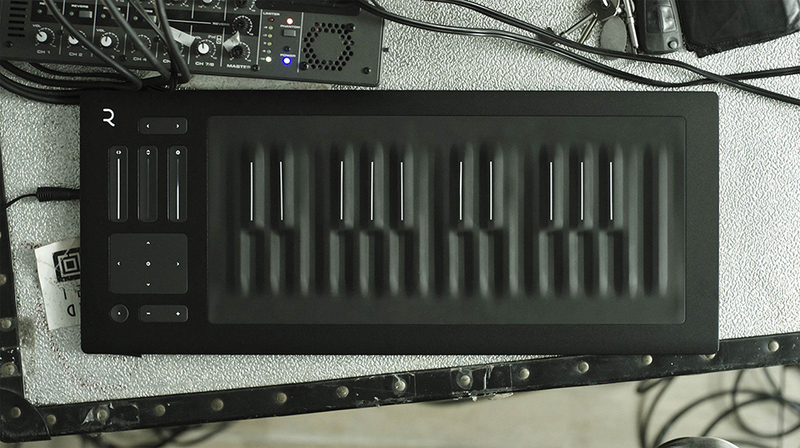 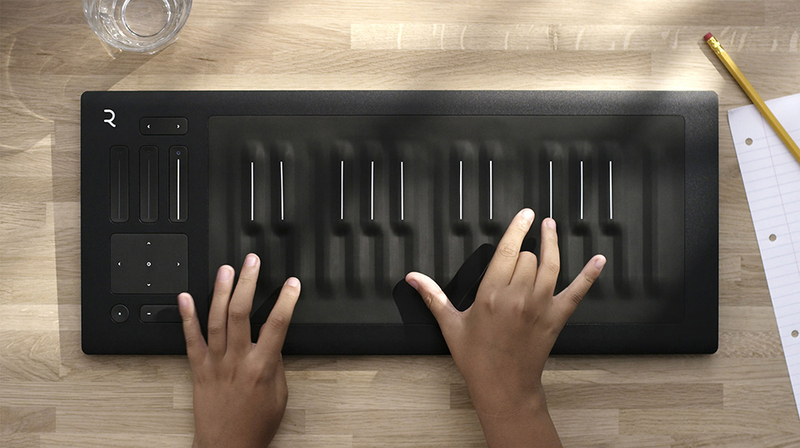 A portable MIDI controller-only version of the touch- and pressure-sensitive Seaboard Grand piano. 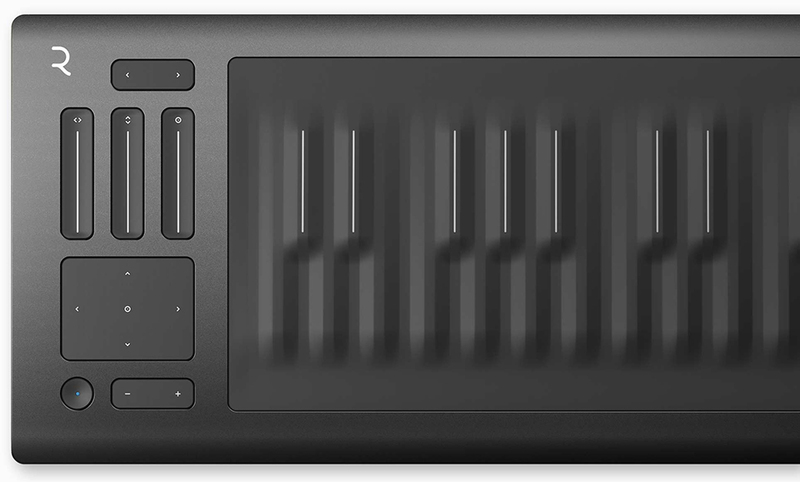 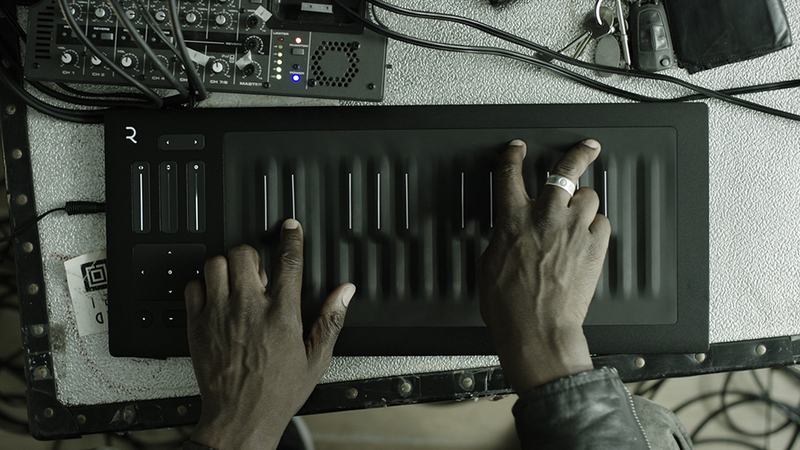 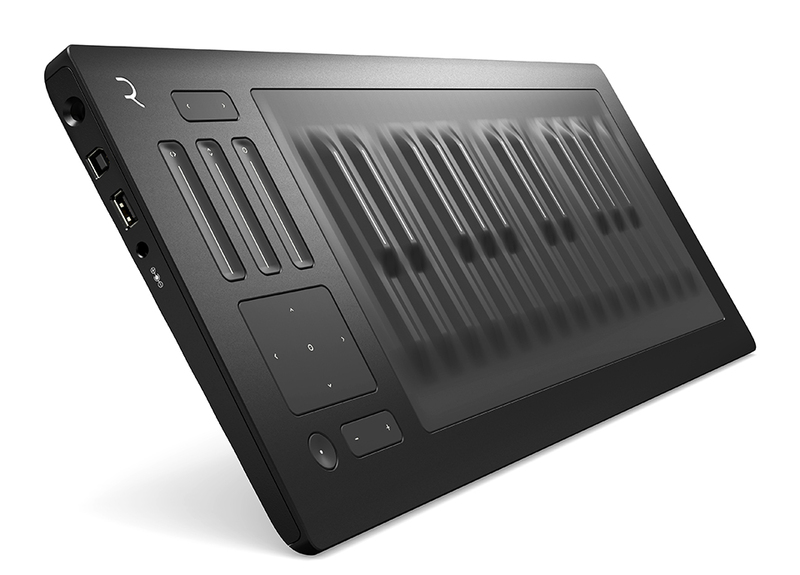 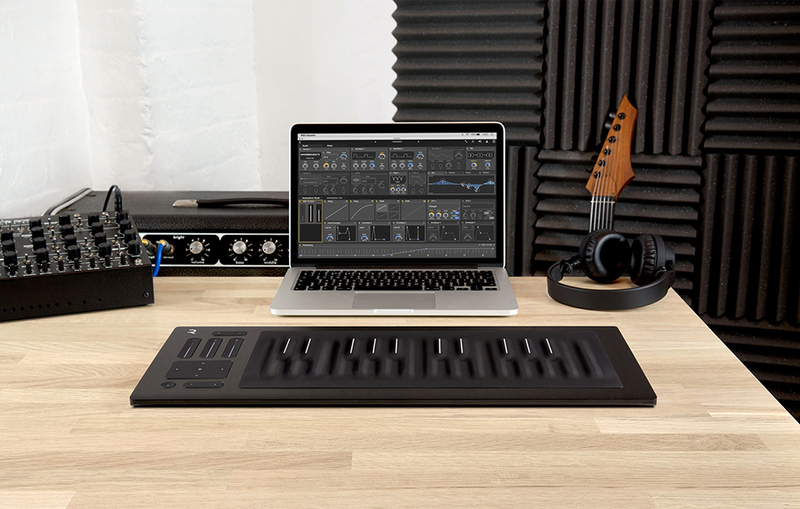 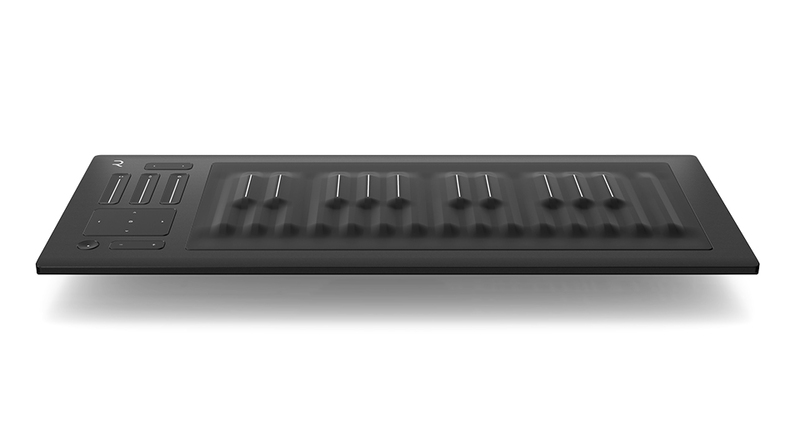 The Seaboard Rise has 25 keys, connects via USB or Bluetooth and has an internal battery. 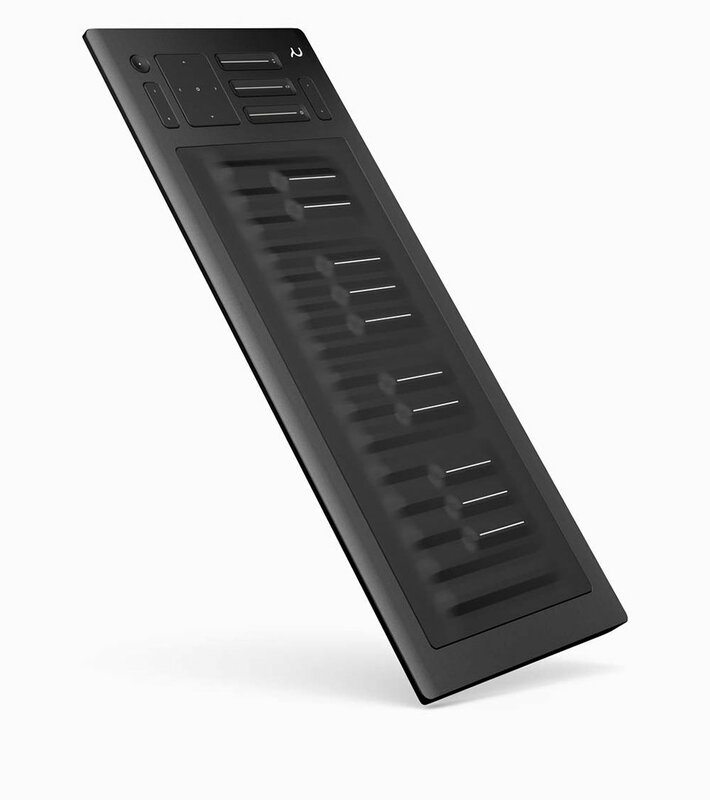 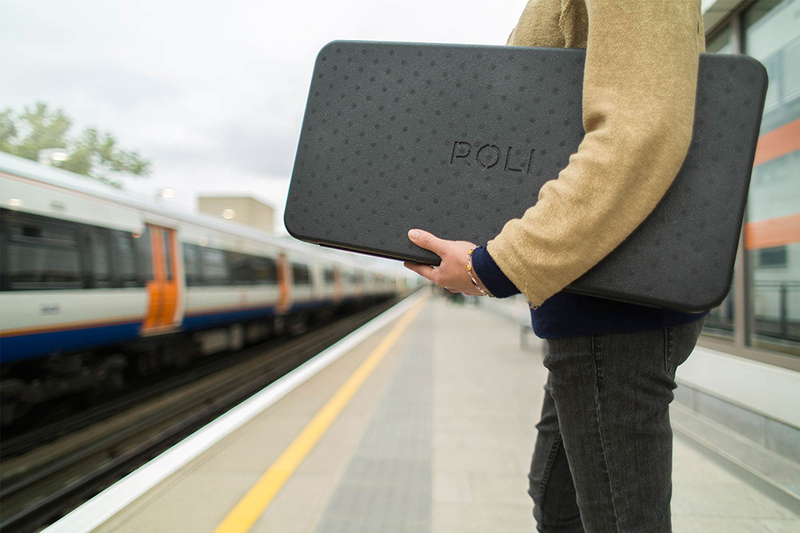 It also comes with Roli’s Equator software synth.